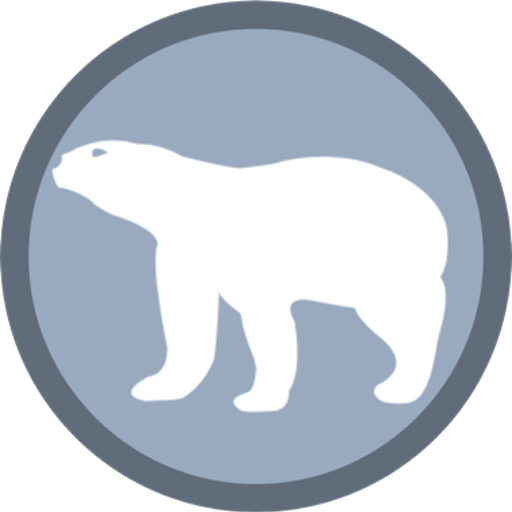 Polar bears must consume ringed or bearded seals in order to survive the arctic environment. But over the past few decades possibly due to climate change the ice floes break up making it difficult for bears to hunt its primary prey. As it turns out the bear resorts to eating birds and other alternative food sources that give them minimum nourishment. While birds do not seem to provide polar bear enough fats or nutritious value to help them live through the hibernation period it nevertheless makes sure that the bear doesn’t die of starvation. Let’s see how do polar bears eat birds. Do Polar Bears Eat Birds? Ice bears are quite adaptable and probably a little creative in altering their feeding habits. Scientists have observed that the bears are now trying to supplement their primary diet with some birds. The research journal Polar Ecology of 2013 showed several video clips of a polar bear actively hunting birds including snow geese. In a journal the researchers noted that the bear now resorts to consume young snow geese as well as adult geese—showing flexible foraging behavior. Scientists believe that polar bears have never hunted or even pursued birds like this before. It shows a significant variation in the bear’s ecology or desperation in food. She is thought to eat more birds in mid-summer and early spring. Yet another published in 2013 Polar Bear Ecology and Evolution suggested that the bears’ diet was far different 40 years ago from what it is now and this has much to do with the global warming. Polar bears inhabiting the Hudson Bay lowlands are likely to prey on birds and birds’ eggs. 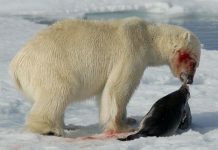 Apart from global warming another possible reason as to why polar bears eat birds might be due to bear’s longevity. 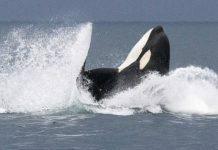 Adult bears especially 22 – 25 years age eventually become too weak to hunt large prey such as seals. As a result they begin to find easy targets which are usually birds. 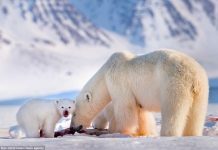 In the southern Svalbard researchers believe that polar bears are beginning to arrive on the nesting sites earlier than the previous years. 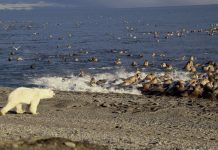 It shows the extremities of hunger in bears for seabirds which are turning out to be endangered within the polar bear’s reach. Each passing day polar bears are eating more and more eggs. What Birds Do Polar Bears Eat? According to the National Geographic many seabirds are losing their arctic habitats because they become the meal of polar bears. The guillemot, one of the arctic seabirds, is quite threatened by the presence of ice bear and the latter actively searches for her. Many a times bear climbs up the rocky cliffs to find birds’ eggs and their chicks. The Norwegian and Greenland polar bears also eat barnacle geese, glaucous geese, and eider ducks. “In most of the years since, predation has been really severe.” He has observed polar bears eating more than 200 eggs in 2 hours, and last year no chicks or eggs of any species—barnacle geese, eiders, and glaucous gulls—survived”– Jouke Prop, an ornithologist.